The latest batch... long delayed, I know. 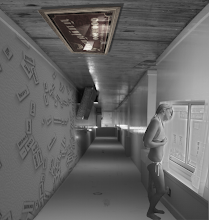 Here are some of the great news and resources I found over the past month. Some of them are really awesome. Business People Say Twitter More Important Than LinkedIn... Uhhh... When did this happen? 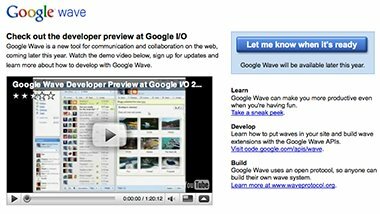 The new - and open source - Google Wave is coming out... and ready to revolutionize the way you live online. 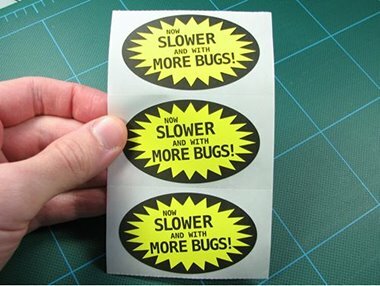 Now Slower with More Bugs! These were made for the PC vs Mac commercials. Let me google that for you actually provides you with the link for googling particular things. For example, let me google the webutante for you. 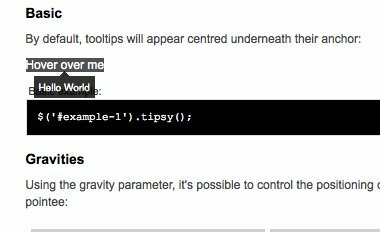 One Hack or Another provides us with a Facebook style tooltip plugin for jQuery to add a little bit of pizzazz to our designs. 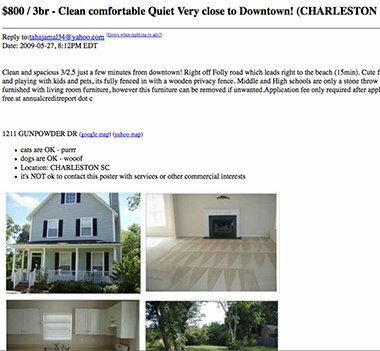 Smashing Magazine covers a grossly under represented topic in web development: Slideshows In Web Design: When And How To Use Them. Thank you for cutting back on flash abuse. Yay! 6 (More) Free File Hosting Websites That Would Be Useful from Smash!ng Apps! Thanks to the Box UK, we now have an official Website Launch Checklist to work with. Yesterday President Obama announced he will be creating a new position responsible for adequately protecting the security of America's computer networks. This new position was created to protect computer networks in a country where numerous networks are targeted and penetrated millions of times each day. This new cyberczar, who will soon be picked by Obama, will head up the brand new White House office of Cyber Security, which will report to both the National Security Council and the National Economic Council - an indication of the value computers have to the American economy. For more information on this revolutionary new role, be sure to check out WCBS 880's article President Barack Obama Announces Creation of Cyberczar. The Webutante's first video post. My first video post is about some great advice I heard this past weekend regarding when it is okay to ask someone with subject-specific knowledge for their help. Check it out below. I am normally the type of designer who's knees get week at the mere sight of big bold buttons, who salivates to the look of gradients and yearns for minimal content depicted concisely through rather un-modest font faces and sizes. This tendency is what makes me usually skip over websites like our featured website of the month of May. 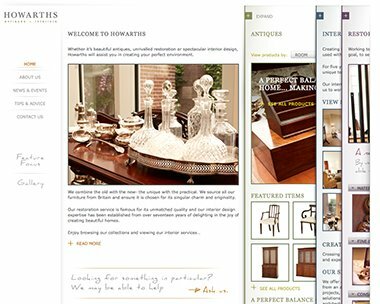 However, the unique take on classic design and usability combined with boundless navigation with vital aesthetics make Howarth's antiques & interiors the Webutante's May website fave. It's been about a month since my last post, and I just wanted to keep everyone filled in about what has been going on since then. 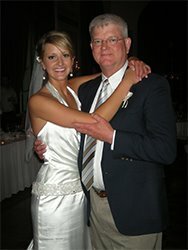 After our wedding, we opted to switch the Webutante's hosting plan over to our own server, which caused the website to be down for a little bit and also caused us to lose nearly all of the uploaded images on the site! So bear with me while I relocate all the images to the appropriate places over the next couple of days. So since all of this has been done we are almost starting over in a sense, which is not really a bad deal for my readers. You can look forward to some awesome new posts and resources over the next week as a treat to my loyal viewership (all 3-7 of you out there, lol) and be sure to let me know if there is anything in particular you think I should discuss.